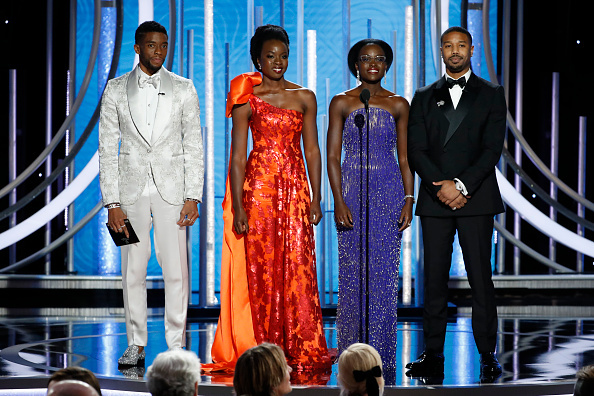 Chadwick Boseman dazzles on stage in his Rivalion silver glitter loafers. 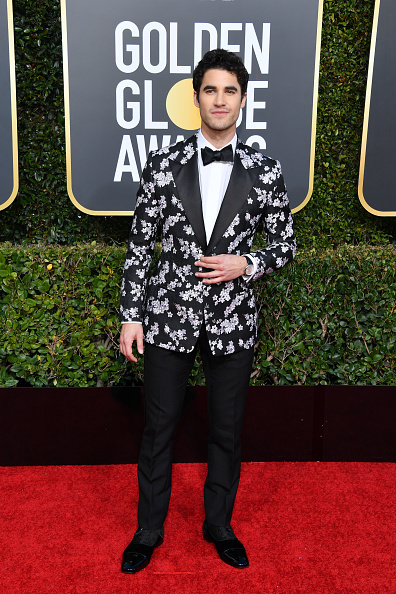 Darren Criss wears the iconic Greggo black patent shoe on his winning night. Nominated actress Gemma Chan steals the show in royal navy satin Pigalle Follies pumps. 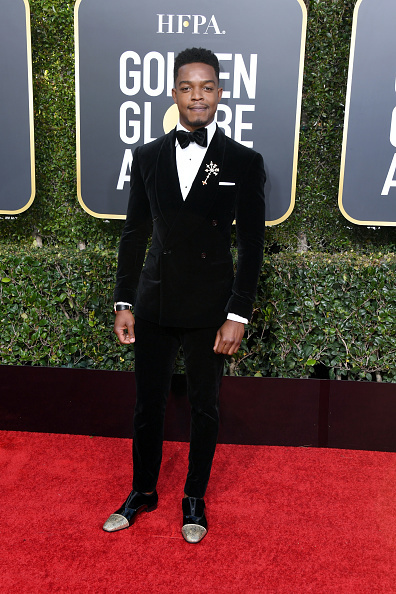 Double nominee Stephan James cutting a dashing figure in his metallic gold toe Alpha male dress shoes. 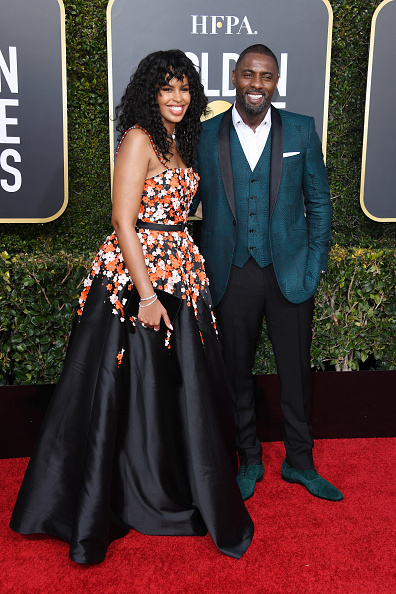 Sabrina Dhowr carrying the black velvet Vanite clutch on the arm of partner Idris Elba in his assorted Greggo dress shoes. Dakota Fanning with her perfectly matched Palmette clutch.